On the face of it, the struggle over the Christmas number one this year sums up capitalist realism's strangehold over culture. From one persective, what we have here is a simulation of disputation, one Sony BMG act versus another, where capital wins every way up - abetted by a grassroots Facebook campaign that has fed the marketing machine while ostensibly raging against it (retailers and Sony BMG must be delighted that members of the public have off their own back come up with a way of remarketing ye olde commodified rebel rock). Yet it's worth also attending to the utopian dimension at work in both the campaign for the Rage Against The Machine to be number one and (submerged) in the X Factor phenomenon itself. The problem is that no response to the X Factor phenonemon is adequate: whether it be the standard bourgeois "I don't watch it, I don't have a TV, altough I occasionally watch serious documentaries on the IPlayer", the PoMo "I watch it to exult in how awful it is", or some version of apparently ingenuous engagement - any response seems useless. The X Factor has seemed as impregnable as capitalism. In one of the best pieces he has written for some time, Paul Morley captured very well the quandary that the X Factor presents. "What's the point of watching the show," Morley asked, "and feeling that I must be losing my mind, because I seem to be seeing and hearing bad, unsavoury, deeply uncomfortable things, while everyone else is enjoying a cheery, light-hearted party, fun for all the family, a Saturday night television show that is merely an ingeniously produced newfangled way of keeping alive certain old-fashioned light entertainment values?" Complaint seems both churlish and impotent; or else irrelevant - why be concerned about the X Factor at all? Aren't there more important things than this high-gloss trivia? Every newspaper and magazine I pick up is full of it. It takes some doing to avoid hearing about it on TV and the radio. And each Monday morning I'm treated to a digest of the latest show as I travel by train to work from my home in Cheshire. I sit in a first-class carriage on the Liverpool to Euston route. You might think my fellow commuters - businessmen, MPs, a clutch of lawyers and a smattering of City brokers - had better things to discuss on the two-hour journey. Our ailing economy perhaps, or the state of public transport? Apparently not. where, commuting to work, doing one's job in the home or the factory or the office or the mall, going to the mall, going to the movies, buying groceries, buying records, watching television, making love, having conversations, not having conversations, or making lists of what to do next, people actually lived. 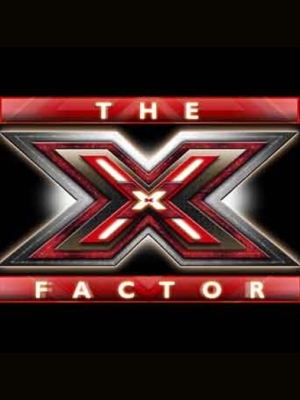 With its successful reduction of popular music to light entertainment managed by specialists, the X Factor constitutes something like the final phase of a depunking of the pop milieu. Yet, through its very irradiation of everyday life, the X Factor keeps alive a pop milieu that - in theory at least - could be open to some kind of breach. The X Factor is (non)event TV because it resists the tendency towards narrowcasting or access-anytime entertainment: it has to be seen live, it depends upon millions of others also watching it at the same time. The drift has been away from the centre, no Big Thing but countless little things, exiled from the possibility of iconic success but no less worth attending to for that. The entryism of the past, the complex negotiations between integrity and commercial success, are all history. Things are more simplistic now. It's all happening out there, down here. The problem for me is that the "countless little things" do not resonate in the same way when they are destined to be forever "little things", when they have no prospect of entering the mainstream, nor any designs upon it. Carl is right: antipathy and contestation are crucial .., and they can only register in the kind of space that the X Factor occupies, and dominates. With the X Factor, popular culture and some notion of the public (however degraded) coincide, as they did on something like Top Of The Pops. But the differences between the X Factor and Top Of The Pops - some of them delineated in this intriguing post by Tom Ewing - bring out the contours of the shiny new Iculture conservatism. It was the combination of public space and market dynamics that made Top Of The Pops intermittently entralling: here was a space that was contested, in which the new could erupt unpredictably. The X Factor, by contrast, and as is well known, presents us with the standard Iculture 'choice' between pre-selected, ultraconservative options: it's a Tin Pan Alley 2.0 in which nothing will ever happen again. All of which seems to resonate with the discussion of "predatory capital" and anticipatory capture in Steve Goodman's Sonic Warfare. The most significant use of sound on the X-Factor is not the blandness of the constestants' singing, but the audio-blitz used to hype the show and the performances. This flash-cutting neuronic barrage resembles the hypnotic film montages in The Parallax View or A Clockwork Organge. No sonic cliche is left unused , all those Star Wars whooshes, electricity crackles... (wouldn't it be good if someone could develop a proper typology of these sound effects used in film and TV hype - perhaps they already have.) It is a sonic war in the media sensorium, in which the "mediocre audio-visual proramming" that Underground Resistance's Mike Banks warned about is ruthlessly enforced. In the New Statesman piece, I talked of a shiny new boredom, and boredom is certainly part of the phenomenological make-up of the current Iculture lite entertainment regime. Yet what the allure of X Factor - and of reality TV in general - has depended upon is some combination of boredom and fascination: something like a cybernetic upgrade of Heidegger's idle talk, ambiguity and curiosity perhaps. 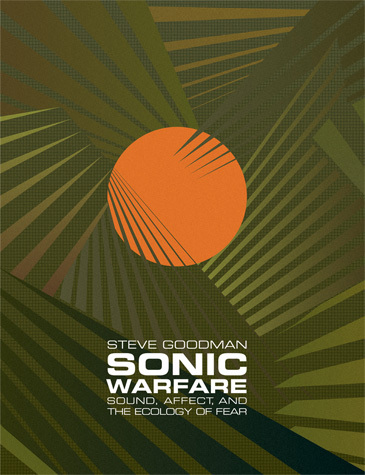 But Sonic Warfare's language of virology, of deja entendu hype-temporalities, of a militarised control of perception, seem equally apt in relation to a phenonemon which so obviously depends upon the manipulation of noise - circus barker hyperbole and crowd hysteria as well as all the FX. The control apparatus also involves the use of hypnotic verbal commands which induce us to distrust our own eyes and ears. Shambolic performances by rehab superstars such as Whitney Houston (madwoman fresh out of the attic) and Robbie Williams (pupils dilated enough, Robbie?) are routinely greeted as "amazing". The effect is not to convince us that the performances are good, but rather to indicate the imperviousness of the 'official' PR narrative to our response. Even if we have seen that the emperor is naked, the big Other has not. The situation is reminiscent of Deleuze and Guattari's claim in A Thousand Plateuas that official announcements concern not what is true, but what we are now supposed to believe. The juggernaut will roll on, whatever we think. Ignore the quality, look at the sales figures now being flashframed onto your optic nerve. The significance of the RATM thing might be to hold up the juggernaut, in what would be a proper negation of a negation, the termination of a non-event. Could it be time for another war on pop, such as was declared by Ian Penman twenty-five years ago, at the moment that postpunk finally died and the media chat vortex which now consumes and subsumes everything started to coalesce? "To speak of a War on Pop - as one would a war on land, war on potentially dangerous dangerous territory, war on an empty stomach. Or of War on Want: war on lack, on something missing and desirable, to speak of a poison or virus that is also our remedy, an enemy that is also our goal, a formidable opponent, a lost ideal?"